Most importantly, this program is completely free, simple to setup and and very straight-forward to use. 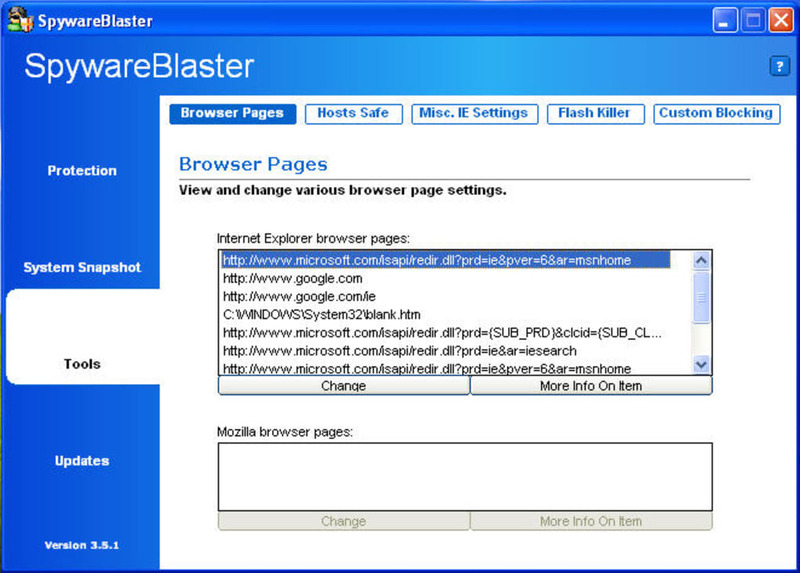 It works by preventing the installation of adware and spyware by blocking them at source. 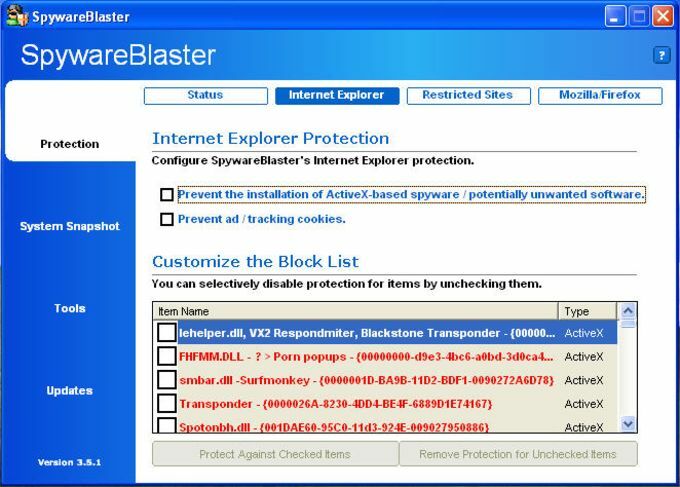 In this way, you prevent attacks rather than having to scan for installed diallers, trojans and bots later with something like Ad-Aware. Of course, this is no easy task. One annoying aspect used to be that there was no auto update function but this has thankfully been solved in this latest version. Via these updates, the program is constantly updated with a blacklist of potential threats that the program monitors for. However, you do get the slight impression that nothing much is going on when it's installed. It doesn't seem to issue any update messages or warnings although it seems to be doing it's job properly. As a result, for many people, this program may seem a bit too flimsy to trust 100% but if run alongside something like Ad-Aware as a backup tool, you don't have much to lose by trying it. A valient effort although I still wouldn't change it for the trio of Ad-Aware, SpyBot, and Spyware Terminator. 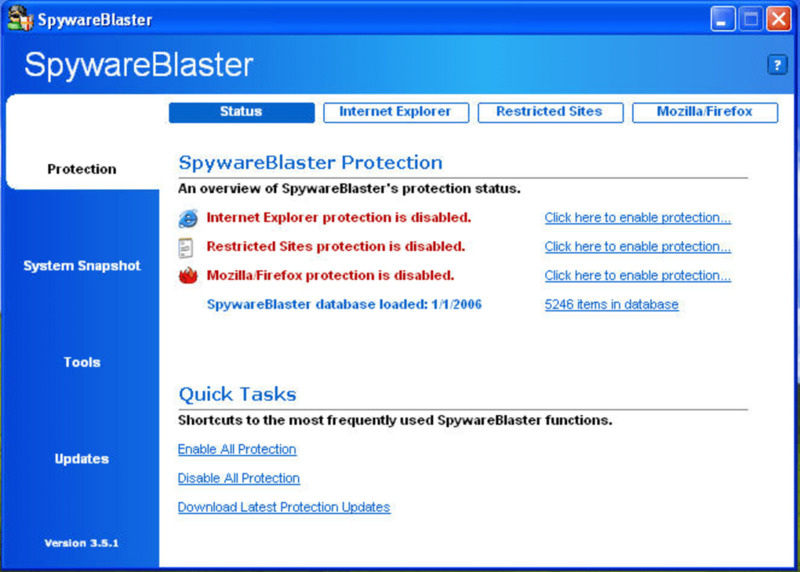 What do you think about SpywareBlaster? Do you recommend it? Why?